Almond color windows can be a stunning compliment to brick or stone buildings, depending on the shade of the masonry. Today's shades of almond or beige are light enough to blend with many interior color schemes. 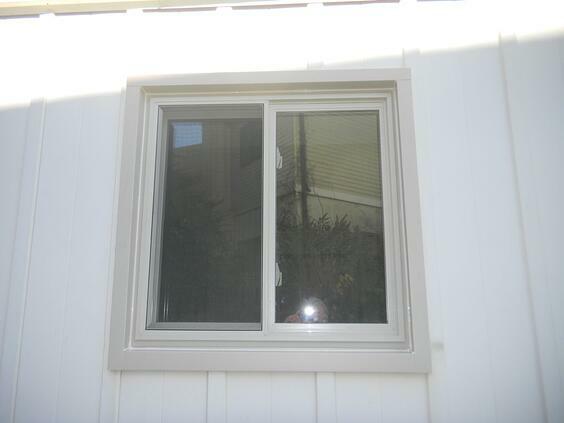 Color vinyl windows are substantially the same price as white vinyl windows. If you do not want almond on the interior of your home, you can order white windows and have the exterior factory painted in almond, while leaving the interior white. Almond windows can set your house apart from all the homes in the neighborhood that all look the same! 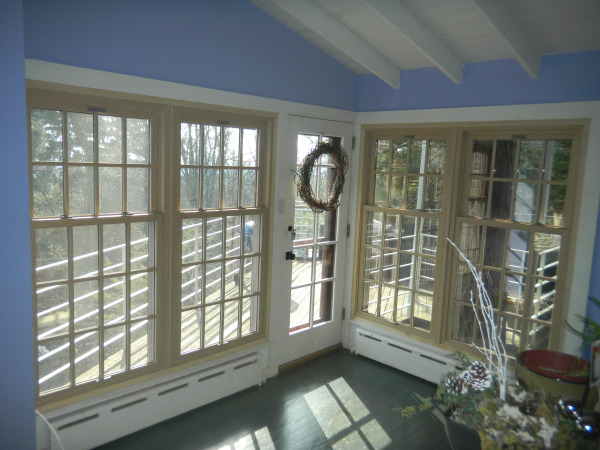 If you live in Southeastern Pennsylvania, we have an in home service that can help you select window styles, colors, options and get prices. If you live outside the area, you can have a consultation using Google Helpouts.... a growing service provided by Thermal Sash and Google. "I have rotten wood and am looking for someone to replace windows"
That is the message I retrieved from my office voicemail on a Monday morning in November of 2012. I of course eagerly called the phone number left on the answering machine, and was greeted by Davie, who was the homeowner with the window problems. I began to discuss with Davie what kind of problems he was having. He explained that some of the wood sections of the windows on his home were rotten, and that he was searching for a wood window to replace them. The home had been built in the 1920's, and had a series of casement windows that filled a corner of the kitchen that lead out onto an elevated deck. The deck was south facing, and bore the brunt of the summer sun. This seemed to be one of the factors causing the window frames to deteriorate. With a spectacular view that the deck offered, the windows were both an element of disign from the interior and from out on the deck itself. I set up an appointment for a Saturday morning, when I could visit the home, and sit down with the owners to discuss their needs and wants. Davie wanted a wood window, mainly to be able to paint it to match what I call Frank Lloyd Wright RED. A similar color was used on buildings early in the 20th century, and made quite a fashion statement at the time. Upon arriving at the house and reviewing the condition of the exterior wood, I saw that the windows had removable wood grids (some people call them grilles). 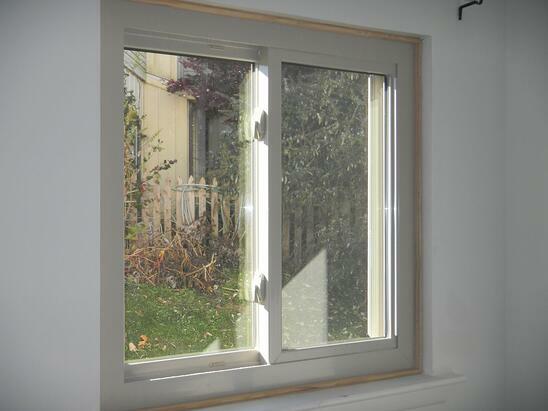 They were casement style windows, and were not exactly the best style window for the location. The deck area was small, and the casements, when cranked out to their open position, took up quite a large portion of the deck. The windows were on a corner, and one pair of caements opened up directly into a spiral stairway that allowed access to the deck from the garden below. After sizing up all the issues, Davie and his wife decided to make a few changes. 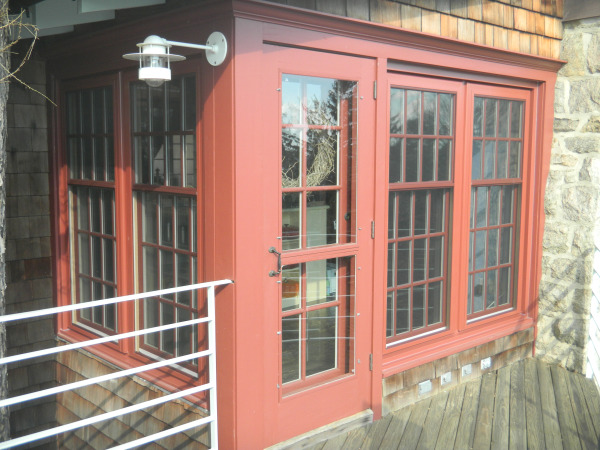 The transformation made the windows virtually maintenance free (after the interior was painted) and not only allowed access from the spiral stairway while the windows were open, but allowed more space on the deck for grilling, and partying! By using the cottage style double hung window (the top sash is smaller than the bottom sash), Davie and his wife Jonica were able to have a view to the exterior that did not have the meeting rails of the sashes right at eye level. The simulated divided lites and the painted interior surfaces will match the style and feel of the period when the house was built. 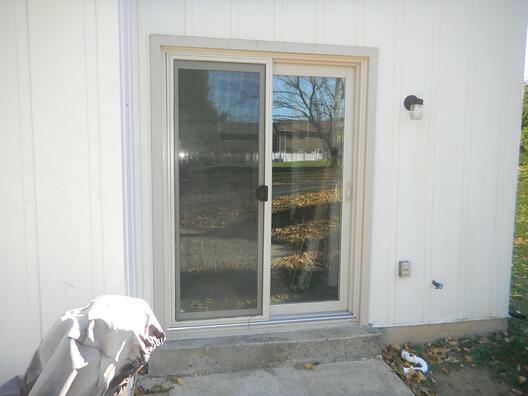 The installation was completed in February 2013, and the homeowners are totally thrilled with the outcome. The original plan was to paint the interior white, so that the painted surface would blend in with the other surfaces in the room. However, because the woodgrain looks so pleasing, they are now considering staining the interior.